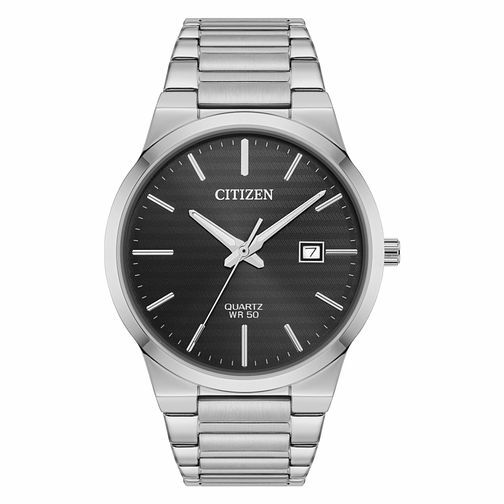 The byword is versatility for this handsome men's 3-hand Citizen quartz watch crafted in sleek stainless steel. The matching link bracelet and casing are perfectly complimented by the sophisticated deep black dial, set with silver tone hour markers and date window at the 3 o'clock position, perfect for the modern day businessman. This watch is also water resistant to 50 metres.